Inside I feel 50, outside I feel 70, and my brain believes that I’m eternally young. 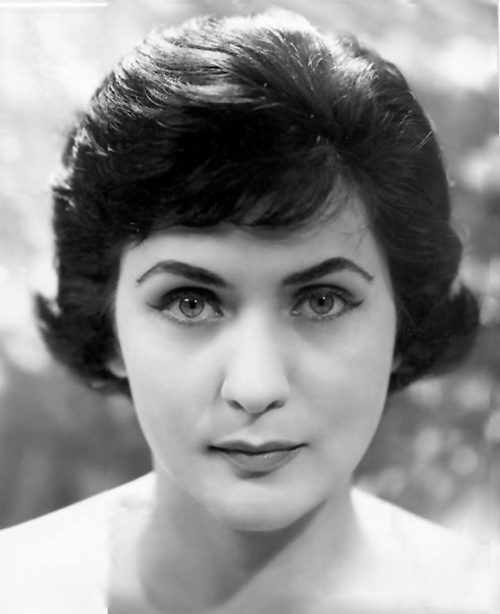 But on 21 October the great soprano Virginia Zeani will be 90. Naturally, many of my friends are dead. It’s normal. One is condemned after 70 to see many friends die, so when one reaches 90… well, I hope that I’ll arrive at 90; there are still a couple of days to go! She is a strikingly attractive woman and impeccably presented. She has a sparkling, and sometimes wicked, sense of humour and a vivacious laugh. I am happy but I’m also in pain: I have arthritis… after dying so many times and falling down on stage in La Traviata and so on, by the end of a life there is pain everywhere. But I can still breathe and think and love, not physical love but spiritual love. Experience in life helps you to be more ‘clairvoyant’ as the French say… I understand from observing people what they are, so nobody can betray me. I have been betrayed, I have been ignored, I have been exalted… everything is in this body which will be 90 in a few days. I have many friends who I adore and many of them, I think, love me too, and for this I’m sad to die and leave them, but I’ll go to meet my husband who died 24 years ago and went to that place where no one can come back from. Zeani’s beloved husband and famed bass Nicola Rossi-Lemeni crops up many times during our conversation. I had decided never to marry because with singing there was no time. In the first four or five years of my career I had made my début in seven operas. Who had time to fall in love at that time? I loved only once in my life. I met my husband at La Scala and, although I wanted to dedicate myself to singing, I found in him the most intelligent man spiritually – material intelligence is normal – a man with whom I was able to find a great intensity, not only as lovers, but also like a brother and sister, until I lost him all those years ago. Since them I have only my students and friends, and I’ve never had any other romantic relationships. We were married on 2 July 1957 and he died in 1991, since then I’ve been alone. I have my son, of course, and my grandchild and daughter-in-law, and a few great friends: one in Canada, one in England, two or three in Italy, my friends in America who introduced me to you, Mr Gramilano [she laughs] and also in New Zealand where we opened a school which continues even though I can no longer visit. 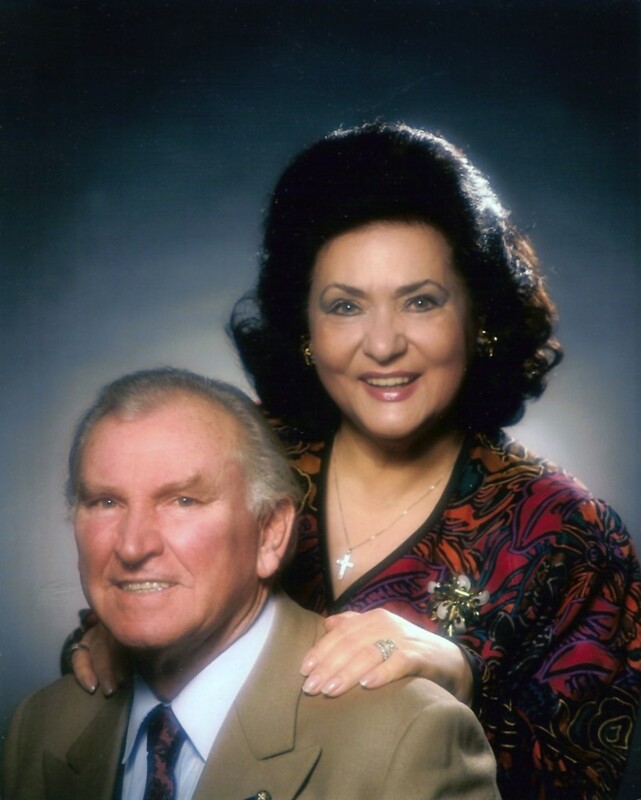 Rossi-Lemeni was her companion also onstage, and in the final years of his life they were both professors at the greatly respected Jacobs School of Music of Indiana University in Bloomington. It was this appointment that led them to make America their home, and now Zeani is in semi-retirement (she still has some students) in Florida. Although she says that she now has the “beautiful and tranquil” life that she prepared for, her mind is demanding, curious and precise, and she finds that the tranquillity of Florida is not always stimulating enough. We slip in and out of Italian and English constantly: Italian is still the language that she feels happiest with. To have friends is difficult because I’m of a certain age, and for me many young people don’t have anything to say that interests me. I do have some stimulating conversations with some students, and a few friends here. Of course, when she arrived in Italy in 1947 from her native Romania, she had no friends at all. I studied, and I also cried because I was far away from my parents – “sola, perduta, abbandonata” – and sometimes, while crying, I continued to repeat the words from the operas I was studying. I lived for 22 years in Romania, then 30 years in Italy where I had the important years of my life and career – I adore Italy – then the rest in America. I feel Romanian when I’m expected to be Romanian, but I know Italy and Italians so well, from Sicily to Milan. Coming to Italy I found a different level of culture. Although one who wants to be cultured can be, in Romania there were those who wanted to be ignorant, the politicians. Everything depended on politics and those who lead the population. Also now we are in a critical moment. I hate the idea to leave a son, a grandchild, a daughter-in-law alone to deal with what will happen in 20, 30, 40 years. I’m curious and I’d like to be near them to see and hear everything. I’ve always been curious: I studied because I was curious; I loved because I was curious. Zeani was fortunate to study in Milan with the great tenor Aureliano Pertile, by this time in his sixties. The most important thing I learned from him was the diction. The beauty of sound which expresses an emotion. There is a difference between singing “Ti amo” as three notes, and singing it while letting the sound of the voice say “I love you” at the same time. She demonstrates often as we speak. The teacher in her comes out and, with an extraordinarily rich and large voice, which still has a large extension and no wobble, she illustrates in a few seconds what she means. My début in Manon Lescaut was Richard Tucker’s last performance in Rome, and I sang Manon again with Placido Domingo when he made his début in the opera. Domingo was the only singer I’ve shared the stage with who truly sang with the intensity that Pertile had described. He gave everything: his voice, his soul, his body, as I imagine the young Pertile himself would have performed. It was as though he had composed the role himself. Although I could never have never composed music myself, as I’d never studied music in depth, I did feel it in every fibre of my being. After little more than a year of ‘polishing’ her technique in Milan – she’d studied seriously for several years in Bucharest before leaving when she was 21 – she had a testing yet triumphant baptism of fire in her first professional engagement, when she replaced an ailing Margherita Carosio. It seems like a joke, but my operatic début was as Violetta! It was in Bologna and my tenor was Luciano Pavarotti’s teacher, Arrigo Pola… though obviously, at that time, Pavarotti the singer didn’t exist. 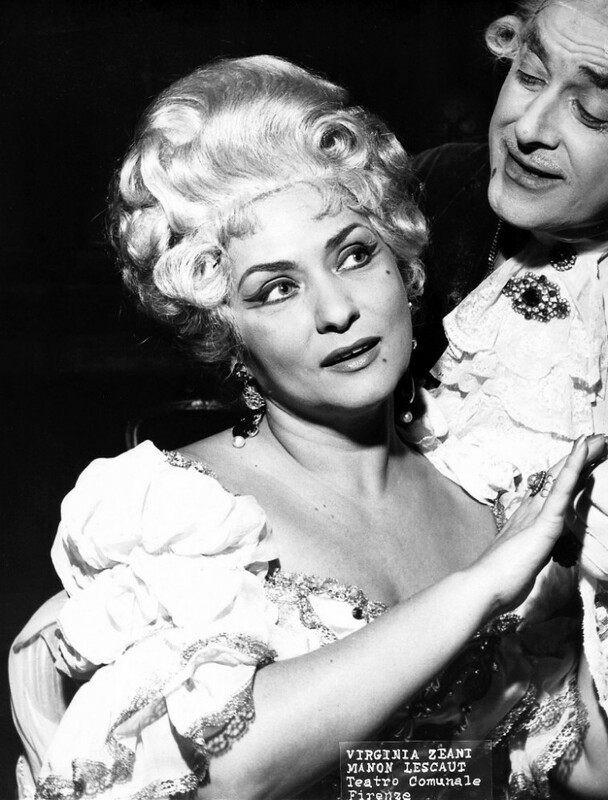 It was to become somewhat a signature role, one that she would sing more than 600 times. Like all sopranos she talks about ‘my’ tenor and not ‘the’ tenor. I asked Zeani about ‘her’ tenors. I can speak of my tenors with great enthusiasm because I love the tenor voice, and sometimes what they gave to me on stage influenced my performances and vice versa. With my tenors I always gave my all and I think that many tenors loved working with me because I was always on their side. I discovered Pavarotti when I was singing a Traviata in Modena with Alfredo Kraus and Pavarotti and his father were in the chorus, it was 1956. Pavarotti was ten years younger than me. She reels off his date of birth: day and month. She has an enviable memory for dates, events, people and places. 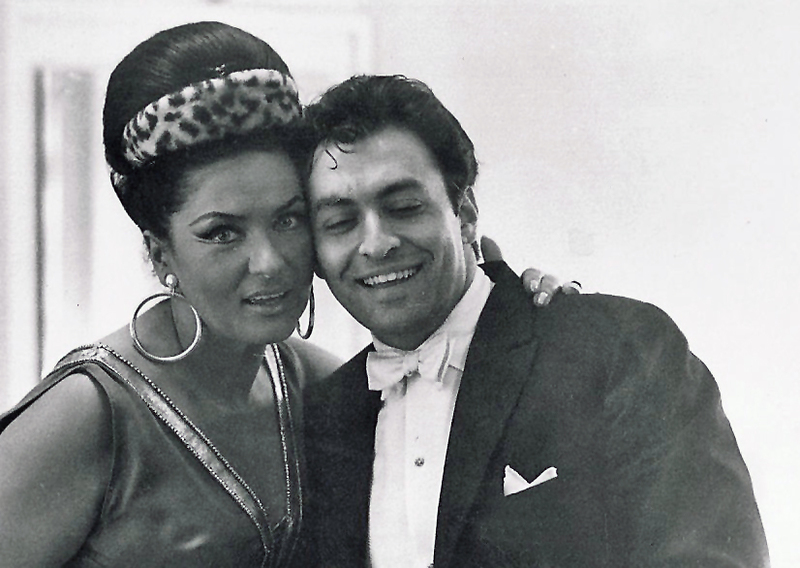 He was my eventually my Alfredo in Traviata at the Caracalla Baths in Rome in 1966. In life he was formal, cold. He would never express an emotion, only to his wife, who became my friend. He was very cold on stage too, though he did everything that was required of him, but when he had to embrace me it would have been more passionate if I’d embraced myself. However, we called him Dr Voice (Dottor della voce) because he could create an emotion on each individual note that he sang, he had such perfect control. I sang Werther with Kraus which was wonderful. We had to sing it in Italian because in Italy at that time it wasn’t permitted to sing in other languages. We were good friends. I made my début in Aida in Montreal with John Vickers. That role was quite heavy for me at that time, but it was Zubin Mehta who convinced me that I could sing it. 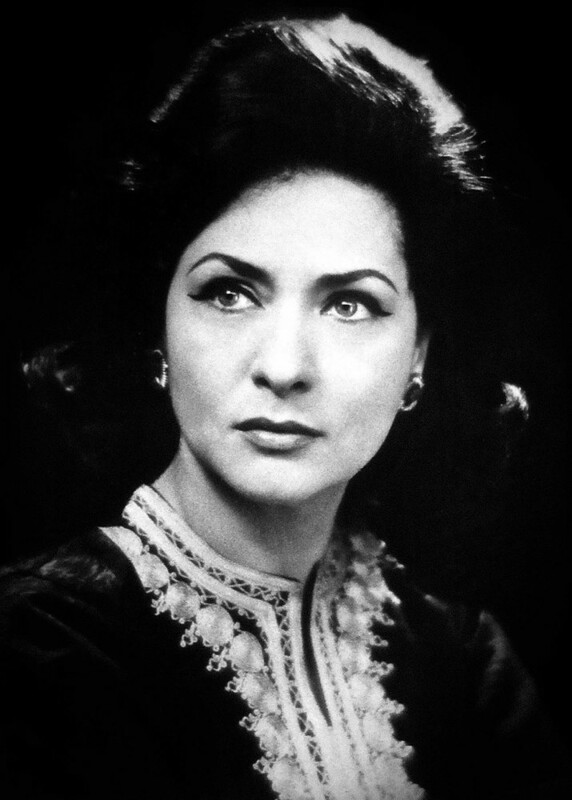 I was a lyric soprano, but Mehta said that with my ‘accenti’ I could sing Aida even though it was a dramatic role. I think I sang a magnificent Aida. It’s not every soprano who has the possibility to pass from Gilda to Aida. The technique is always the same, but you must respect your voice. Let’s say, when you are young you have a violin with a purer ‘narrower’ sound, when it becomes a viola it has a different quality, and may even pass to being a ‘cello… violin, viola, Violetta! The room echoes to her hearty laughter. I wasn’t a dramatic soprano, but I could find the dramatic accents within a dramatic role as in I Vespri and so on. I was the first in Italy to sing all three roles in the Tales of Hoffmann. My husband sang all the bass roles, and it was a very important event. Glad to hear she’s doing ell, especially for 90… I interviewed her in 1999 while she was still teaching at IU. Her home was like a mini Grand Central Station with people coming and going and the phone ringing – students, friends – and she was warm and gracious to them all. This was on Halloween and Virginia and I had spent the afternoon talking (around the interruptions) and she had some of the same stories, mentioned Nicola often, and showed me her collection of costumes (from the days when singers traveled with their own costumes and jewelry). Our on-tape interview was interrupted with phone calls and doorbell ringing from kids on their trick-or-treat rounds – she did the phone, I passed out the candy. A remarkable experience – terrific memories you’ve conjured up. That sounds like fun! Ours was a calmer affair – one phone ring, a few dog barks – but she is magnificently passionate about opera and voice and laughs readily. One of those rare I-hope-I’m-like-that-when-I’m-that-age occasions! Is your interview online? Totally agree about wanting to be vibrant and passionate when I’m her age! I interviewed Virginia (and Giorgio and 150 others) for a book about tenors. Neither of these singers are tenors (you’d be surprised how many people felt compelled to point that out to me) but by talking to others in the opera world, I get a more complete picture. So yes, still working on the book, since 1998 (life got in the way – several times). Finally retired early and moved to a new location this year, working on it steadily. Still a couple years away but looking to get websites up and running by first of the year: my regular one (cleaned up and redesigned after being destroyed by spambots) and for the book (thetenorbook.com) which will have some of my photos and excerpts from the interviews (probably the stories that don’t fit in the book). Still wavering between crowdfunding the printing costs or pitching to a publisher… meanwhile, finishing up a few more interviews next year and wrangling 3,200 pages of transcripts (and counting). The most complex project I’ve ever done! Like Virginia, several of my interviews are in their 80s and 90s… wish I could write it faster. I really like you presented this, the mix of direct quotes and your observations, which bring the reader into the room with you. That’s important and so much more interesting than Wall-of-Transcript. Love all the photos, too – many more than I’d seen before. It was fun to see her “camera face” in a couple of them… some people do that, they have a LOOK they use in front of the camera – she definitely did. Always makes me smile, since it’s usually different (formal, stiff) than the person I’d just been talking with. Adventures in interviewing – gotta love it! Oops – missing words or syllables (interviewees, not interviews in 80s and 90s)… and I like the way you presented…I blame the splint on my dislocated finger! Thanks for the link. I so enjoy reading your work, Graham, when your artistry shines through as brightly as the interviewee. You never over shadow or intrude, but guide the reader simply and smoothly through what could be perceived as eavesdropping on a quiet chat over afternoon tea. Personally, I love when you write full out as in this article. Much appreciated by those of us who recognise and appreciate intelligent arts journalism.